The early ’60s were a great time for horror/sci-fi anthologies on American network TV. Audiences had the opportunity to watch The Twilight Zone without knowing the twist endings in advance. Alfred Hitchcock Presents was in the second half of its decade-long run. Boris Karloff hosted two seasons of Thriller. 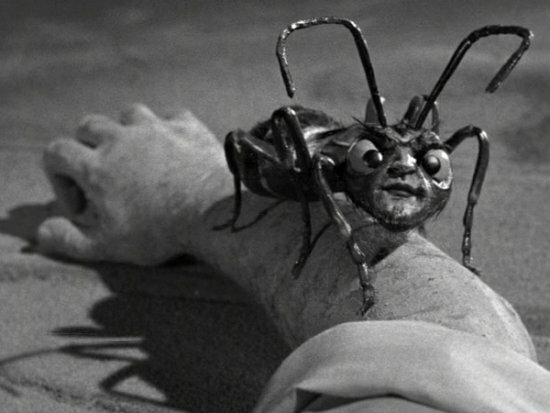 And The Outer Limits brought B movie sci-fi excitement on a weekly basis. I don’t use the term “B movie” as a pejorative, but rather for its original meaning: the second half of a theatrical double feature. B movies were relatively short and inexpensive, but that didn’t necessarily mean that they were lacking for talent and craft. 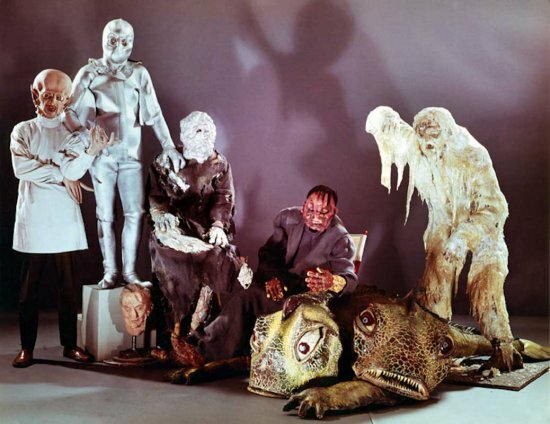 So it was with The Outer Limits, which featured an impressive roster of guest actors and–more germane to this discussion–a panoply of exotic monsters. Joseph Stefano, screenwriter of Alfred Hitchcock’s Psycho, produced the first season and put the monsters (nicknamed “bears”) front and center. The story opened with U.S. military personnel in the Southwest awaiting the arrival of a prison ship from the planet Zanti, whose unseen rulers had declared Earth the perfect place to house their criminal element. A perfectionist society, the Zanti were incapable of executing their prisoners and therefore sought to isolate them far from home. (“Not in my backyard” took on a new meaning here.) The humans had been instructed simply not to interfere with the craft, under threat of retaliation. Unfortunately for all involved, a pair of human criminals (one of them played by Bruce Dern) broke through the cordon and stumbled across the surprisingly small spacecraft. They triggered an alien jailbreak, and at last the Zanti were revealed: fist-sized ants with human faces! With the alien criminals squished, the remaining humans awaited their fate at the hands of the Zanti rulers. But it turned out that the threat of total destruction was a bluff. The Zanti were known throughout the civilized galaxy as the undisputed masters of the backhanded compliment. Here’s “The Zanti Misfits” in its entirety, courtesy Hulu!